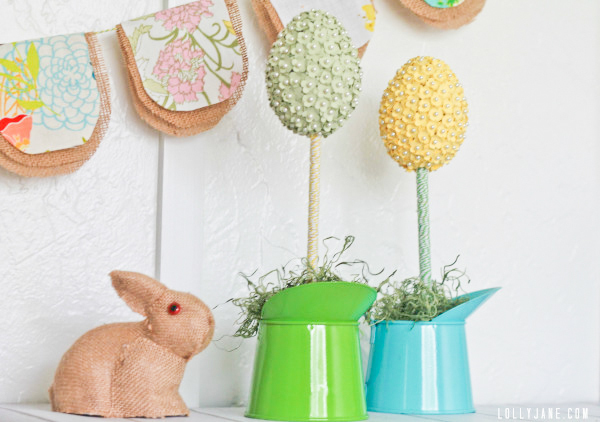 I shared some spring decor ideas on my fav local news channel, AZ Midday. First up, mark your dowels and cut down to size on your miter saw, (2 quick cuts, don’t be scared of power tools, they’re a girls best friend!) 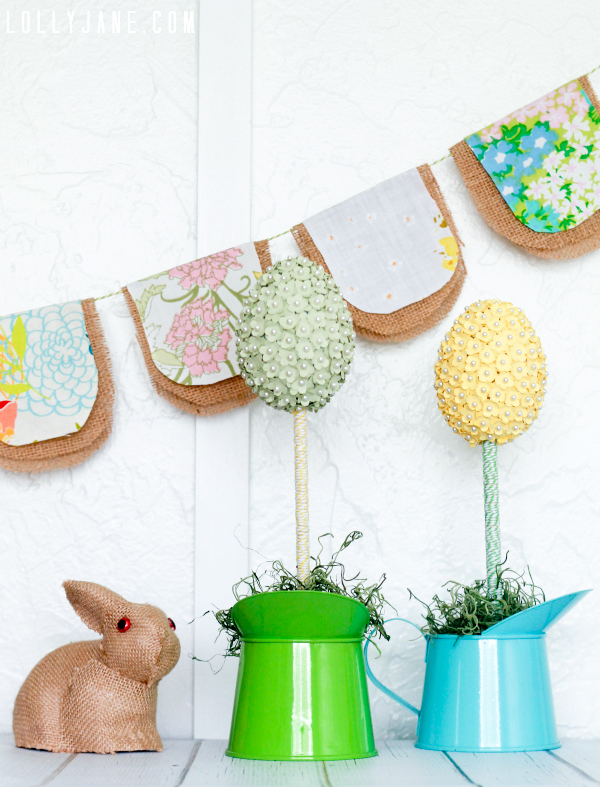 Coat the dowels in decoupage and wrap with coordinating bakers twine. Cut the bottoms of your styrofoam balls off so they lay flat. Jam your dowel through it so it’s perfectly straight and then repeat with the bottom of the egg. Use the scraps from the ball bottoms to help center if needed and over with fake moss. Stinkin’ simple, right? Is this tute too much work? 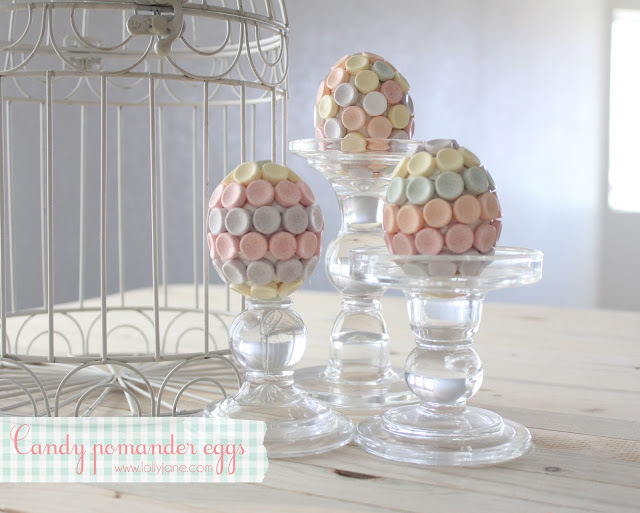 How about hot gluing Smarties onto styrofoam eggs? 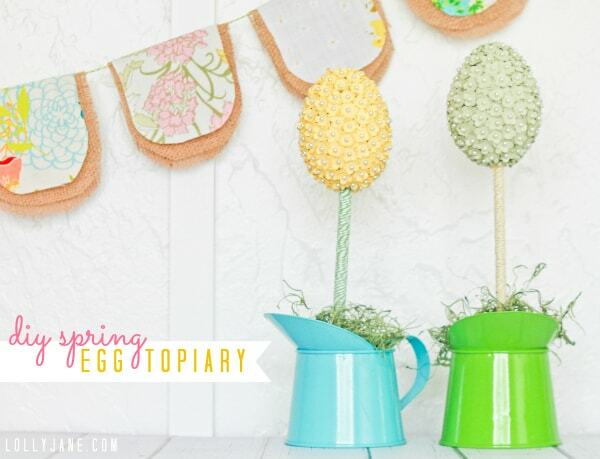 Check out all our Easter/Spring idears! 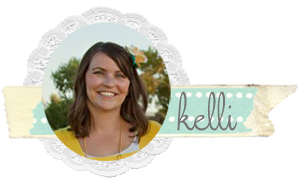 ps: Will post the spring decor video as soon as AZ Midday shares it on their site! Super cute eggs!! Love them! !